The historic gold rush town of Murphys was once described to me as the “Carmel of the Sierra Foothills.” It’s an apt description. Murphys’ tree-lined streets and charming courtyards are brimming with historic architecture, fine restaurants, art galleries and 28 wine tasting rooms along Main Street alone. Another 30 or so wineries are scattered in the rolling hills just outside of town. One of the largest wineries, Ironstone Vineyards, offers a summer concert series in an outdoor amphitheater featuring national touring acts. The Victoria Inn had once been the site of a stagecoach stop, an assay’s office, and a blacksmith’s shop. Today it serves as a hub for fine dining, drinks, and elegant accommodations. 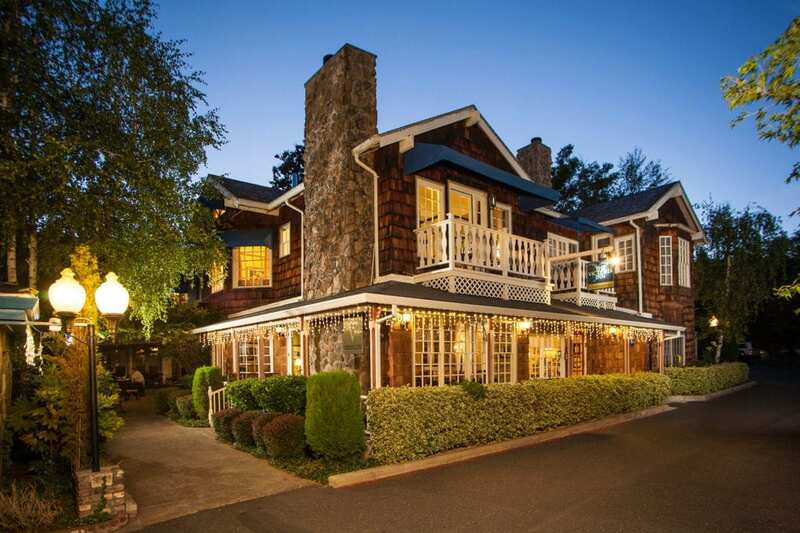 The cedar-shingled inn is tucked just off Main Street with 24 rooms, an enchanting courtyard, and two restaurants. 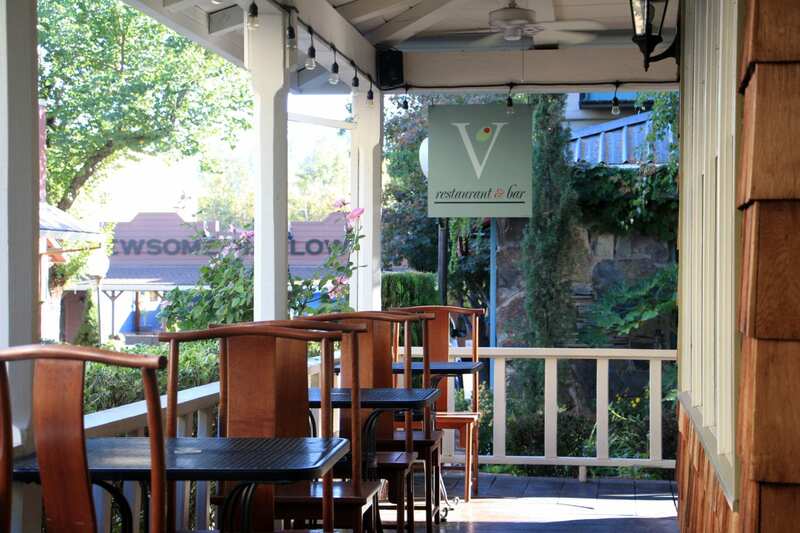 V Restaurant & Bar offers the most upscale dining experience in Calaveras County and an impressive collection of art. 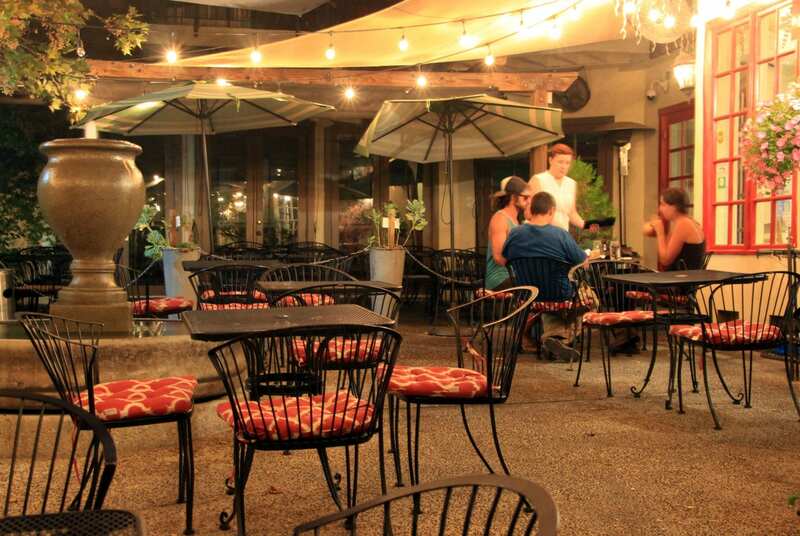 Its sister restaurant, V Bistro & Bar, is a more casual affair offering alfresco dining beneath the glow of string lights in the courtyard with café tables and a trickling fountain. 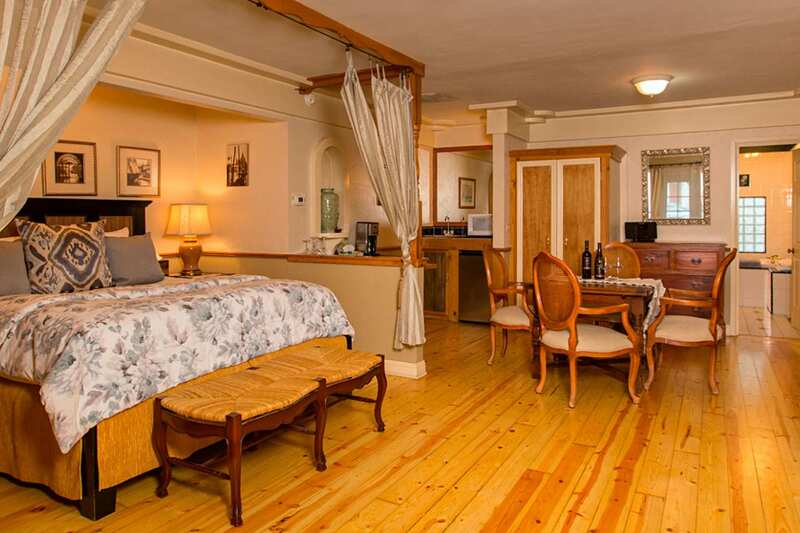 Several of the inn’s rooms overlook the courtyard with French doors that open onto small, private balconies. The guest room beds are piled with pillows and lofty down-filled duvets that are so invitingly luxurious that it’s impossible not to want to dive into them. 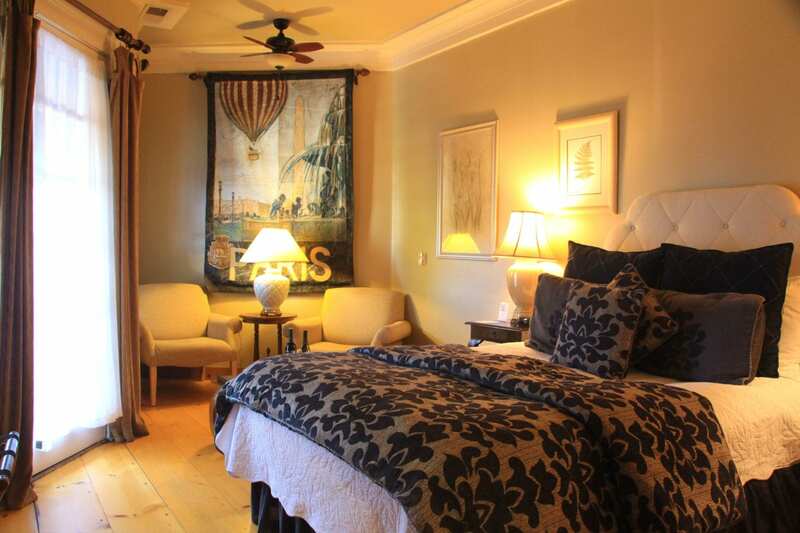 The rooms exude an European charm with elegant, uncluttered décor, high ceilings, fireplaces, and claw-footed bathtubs or whirlpool tubs. I stayed in the Wisteria Cottage, which is a quiet escape tucked behind the inn’s main building. The suite features a wood-burning fireplace with a seating area and a lofty king bed framed with romantic, crushed voile sheers. 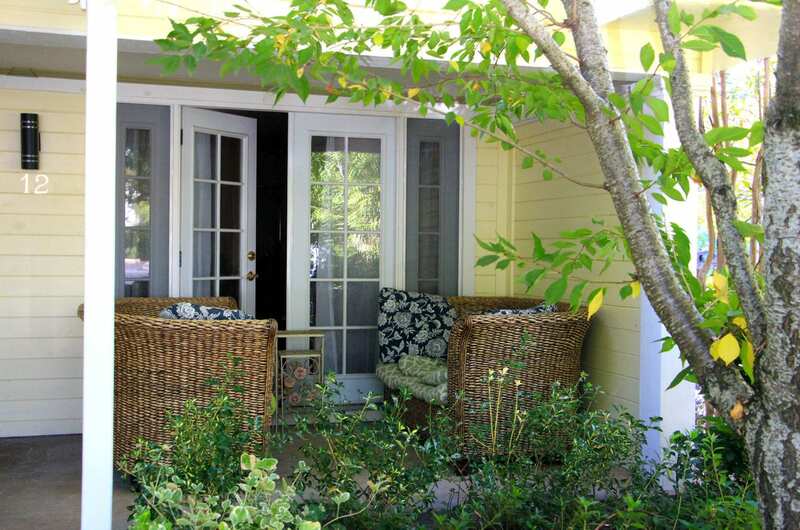 French doors open to a private outdoor patio with a comfortable seating, gardens, and a soothing fountain. The tiled bath features a two-person spa tub. The suite also offers a dining table with chairs and a wet bar with a microwave, mini-refrigerator, and a coffeemaker. The inn serves an expanded continental breakfast featuring bagels and lox, assorted cereals, fresh fruits, juices, coffee and tea. I enjoyed my breakfast on the inn’s porch and plotted my day, which would start with a hike among the giant sequoias at Calaveras Big Trees State Park, return to Murphys for a lazy afternoon of wine tasting and gallery browsing, and then end with dinner in the courtyard at V Bistro & Bar. First and fourth photos courtesy of The Victoria Inn; also others by Ranee Ruble-Dotts for CABBI.